Calling all editors, film students, and aspiring artists! Great news! Troma Entertainment currently has room for two observer volunteers at Troma headquarters in beautiful Long Island City, NY! Work closely with The Troma Team and Lloyd Kaufman, president of Troma Entertainment and creator of The Toxic Avenger. Gain valuable experience, build your résumé, and network! Email flavio@troma.com for details! This entry was posted on Friday, September 28th, 2018 at 5:14 pm	and is filed under News. You can follow any responses to this entry through the RSS 2.0 feed. You can leave a response, or trackback from your own site. 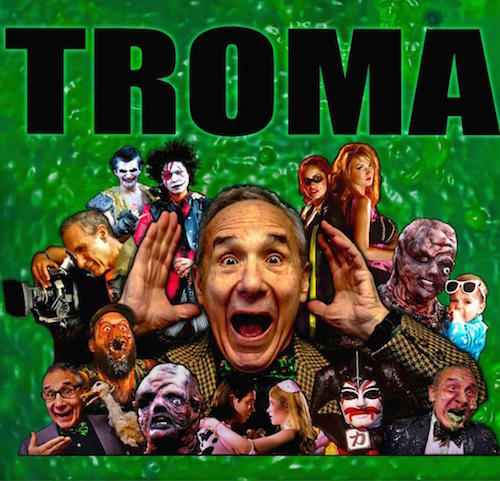 You are here : Home » news » 2018 » 09 » 28 » Volunteer Positions Open At TROMA ENTERTAINMENT!